SFTA could not make the difference that we do without the help of supporters like you. Contributions made to SFTA are not just an investment in our organization. An investment in SFTA is an investment in the present well-being and education of Wisconsin’s youngest residents, to ensure their future success. Why should you invest in early childhood? Remember, contributions made to SFTA are 100% tax deductible and we will send you a receipt for your records. SFTA applies individual and community contributions to multiple programs as a means to leverage and maximize resources that support the well-being and education of Wisconsin’s youngest children. Help SFTA provide a breastfeeding-friendly environment for working moms! UPDATE: We have successfully raised enough funds to furnish a working space for breast-feeding parents to utilize. Thank you to all who donated to make this project possible! Small Change makes a BIG Difference Teach-A-Thon: This annual event trains Wisconsin adults to prevent, recognize, and stop, child abuse and neglect. Donations made can be a flat donation amount, or range from a penny to $1 or more per person trained. Every cent supports efforts such as this one to support Wisconsin’s youngest children and their caregivers. Want to know more about preventing child abuse and neglect? Read about the 5 Protective Factors. Visit our Small Change Makes a BIG Difference page to learn more. 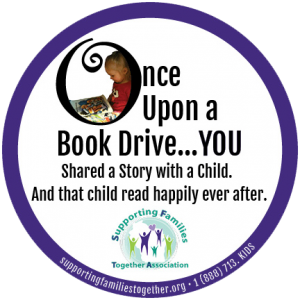 Once Upon a Book Drive: This annual effort on behalf of SFTA, our members, and our community partners, collects and distributes quality children’s books to child care programs and families in need across Wisconsin. This drive runs yearly from June 15 through August 31 and we will accept new or gently used books that contain educational, appropriate content for children from ages 0 to 12, with an emphasis on infant/toddler books. Each year book drop-off points are set up across the state that we will post to our site when available. See more on our Once Upon a Book Drive page. Provider Appreciation Day: Friday, May 11, 2018: On this day we recognize the fantastic work that child care providers throughout Wisconsin do every day! Learn more about WI Provider Appreciation Day efforts. Our website is regularly updated to reflect our current work and campaigns so be sure to visit frequently to stay up to date on new developments. Join our mailing lists to get updates pushed directly to your inbox. At SFTA, we appreciate the dedication of the community members, organizations, and businesses that work with us and support our efforts. As an expression of our appreciation, we believe it is extremely important that our supporters and the community as a whole know how we operate as a nonprofit organization and how we use the contributions made to us. GuideStar, a 501(c) (3) public charity that provides information about nonprofit organizations’ impact, reputation, finances, programs, and more, has granted us their highest rating as a GuideStar Platinum Participant, for our commitment to transparency and accountability. See our rating and a comprehensive summary of SFTA’s practices. Are you an avid Amazon shopper? Getting started on that holiday shopping or have a birthday coming up? Amazon will donate 0.5% of the price of ALL of your eligible AmazonSmile purchases to SFTA, where your money goes to support Wisconsin children and their families! So shop 'til you drop!